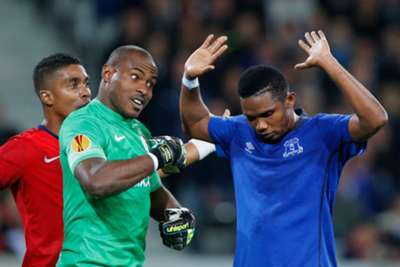 It was a battle of defences as Lille and Everton played out a goalless draw in Group H action at the Grand Stade Lille Metropole on Thursday. The result ensured both teams remain undefeated after three matchdays. But Enyeama, who pulled off a terrific save to deny Aiden McGeady in the second half, has already turned his attention to Lille’s trip to Goodison Park on November 6. “The first game against Everton is now in the history books and we’ll only start thinking about the second match against them when it comes around in a couple of weeks,” Enyeama said afterwards. Enyeama added: “I don’t have much to say about the save I made from Aiden McGeady. The important thing is we did well as a team.